Stuart Cox | Photography offers a selection of specialist services specifically for residential and commercial property agents. 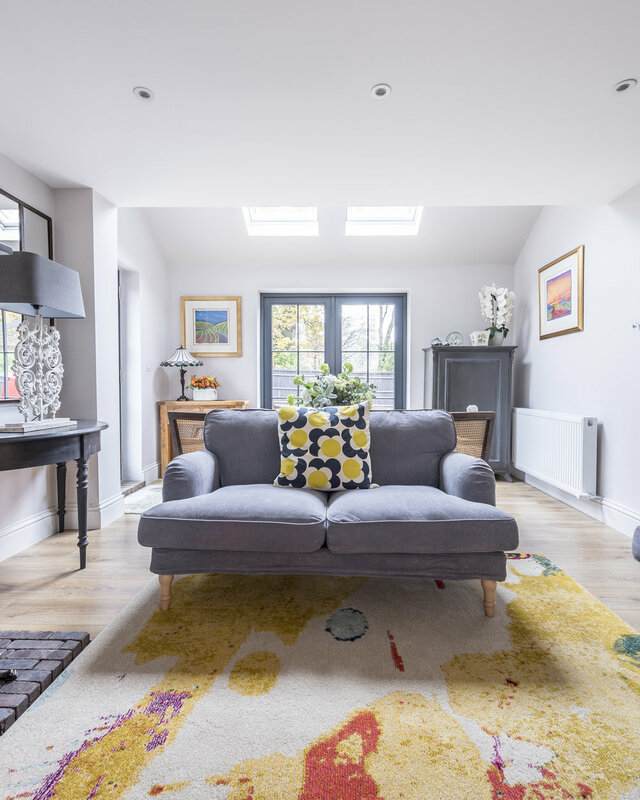 These include editorial-quality property photography for everything from small studio apartments through to country estates, in addition to RICS standard/quality floorplans and elevated imagery. A number of different packages are available, allowing agents to select the most appropriate option for their visual and budgetary requirements. Some properties, especially larger rural properties, can really benefit from having elevated photography, which adds an additional perspective for potential buyers to view. By using elevated photography, agents can show a better viewpoint of properties with extensive grounds and gardens or where larger scale land and estates need to be illustrated effectively. Accurate, laser-measured floorplans sketched and then digitised using the latest and highest quality floorplanning software. Floorplans can be branded with agent logos and contact information, and bespoke agent requirements can be added as required. Photography : £75 (plus VAT) including 15 hi-resolution images, processed, enhanced and retouched (externals shot in standard ground level perspective). Additional Elevated External Photography : £75 (plus VAT) including a selection of 10 elevated viewpoints of the property externals. Floorplan : £40 (plus VAT) A detailed floorplan sketched and digitised to RICS standards to match your branch requirements (colour / black and white / watermarked). Photography AND floorplans combined : £110 (plus VAT) including 15 hi-resolution images, processed, enhanced and retouched AND a floorplan sketched and digitised to RICS standards. Photography : £85 (plus VAT) including 15 hi-resolution images, processed, enhanced and retouched (externals shot in standard ground level perspective). Floorplan : £50 (plus VAT) A detailed floorplan sketched and digitised to RICS standards to match your branch requirements (colour / black and white / watermarked). Photography AND floorplans combined : £130 (plus VAT) including 20 hi-resolution images, processed, enhanced and retouched AND a floorplan sketched and digitised to RICS standards. For larger properties (6 bedrooms or more), or where a property has extensive grounds of over an acre or requires more detailed coverage (prestige / architectural / heritage details) a tiered premium package is offered. Commercial properties by negotiation. Photography and floorplans : £250 (plus VAT) including 35 hi-resolution images, processed, enhanced and retouched and a full floorplan detailing property layout. External images are shot from standard and elevated architectural perspective. Photography and floorplans : £450 (plus VAT) including 70 hi-resolution images, processed, enhanced and retouched and a full floorplan detailing property layout. External photography using elevated photography as well as standard architectural perspective.